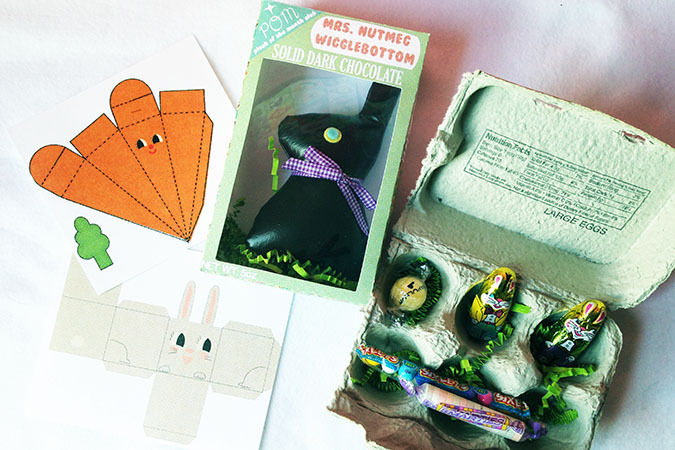 March boxes were Easter themed since Easter falls on March 27th this year. 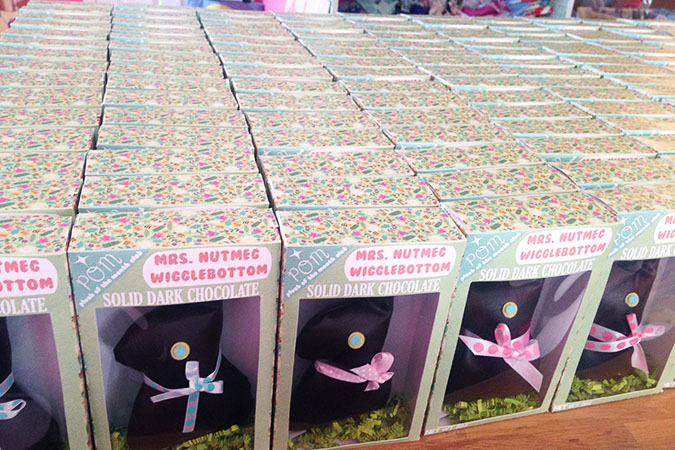 I had the idea that I wanted to make chocolate rabbits all boxes up like an Easter treat, and I hope that really came across in the finished product. 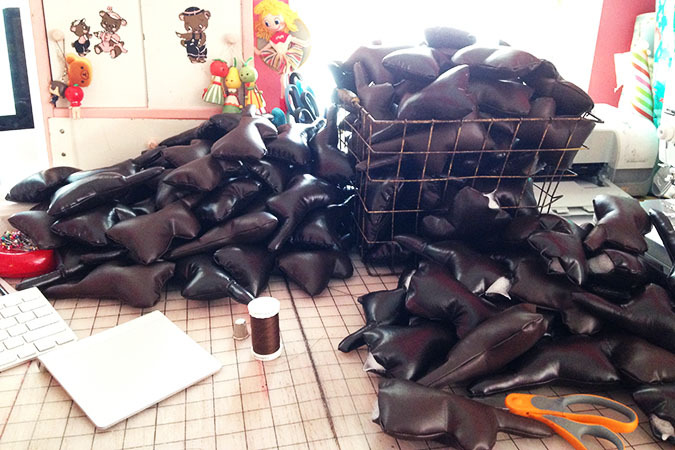 The rabbits themselves were sewn up from a vinyl brown fabric which my machine handled like a pro. I thought the dark color and shiny material would help give it that chocolate look. Turning and hand sewing the vinyl openings closed on the other hand was a bit more difficult. I had to take two days off after hand sewing them shut because even with a thimble my fingers became so sore. I even had to switch to knitting at night instead of my usual quilt/hand sewing! I think i’ll be avoiding vinyl sewing for a bit. 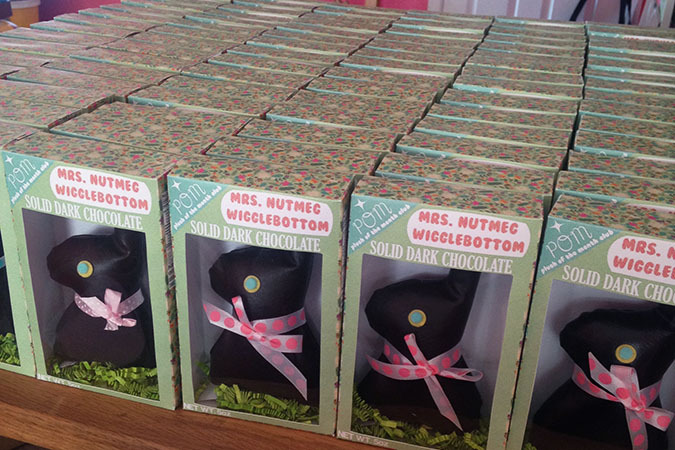 Once they were sewn and “candy” felt eyes added, a bow tied around each neck…they really started to look like chocolate bunnies to me. To make sure the boxes were the correct shape I worked up a few mock-ups which you can see above. 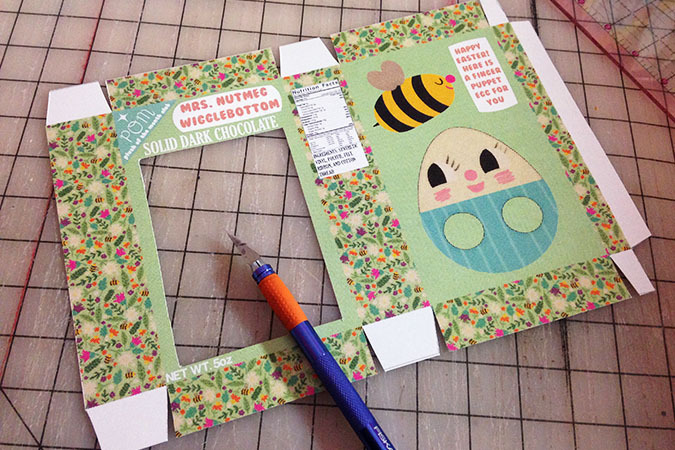 I wanted to make sure the plastic window openings would be large enough to see the bunnies inside. 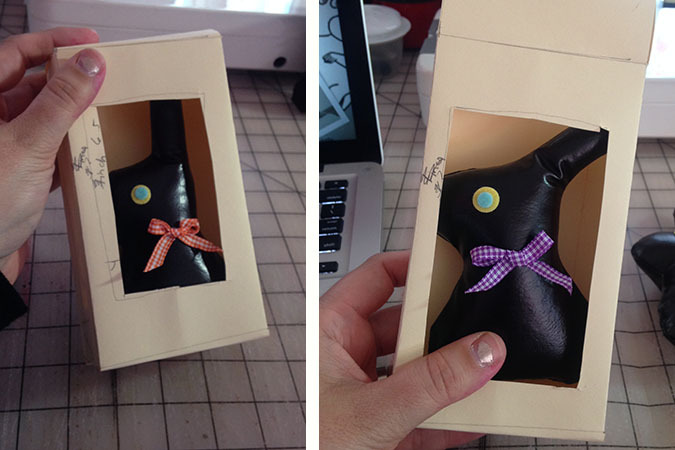 When designing the whole package on this one, I meant for the plush to stay in the box. I have noticed a few people online debating about wether they wanted to remove the plush or not. Since the boxes are a big part of the overall design-I say leave them in. 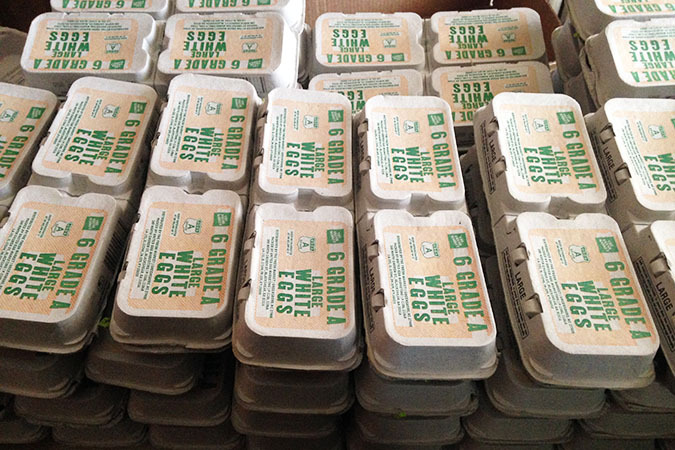 The boxes were a labor of love, not machine assembled boxes like you might buy something from the store in. 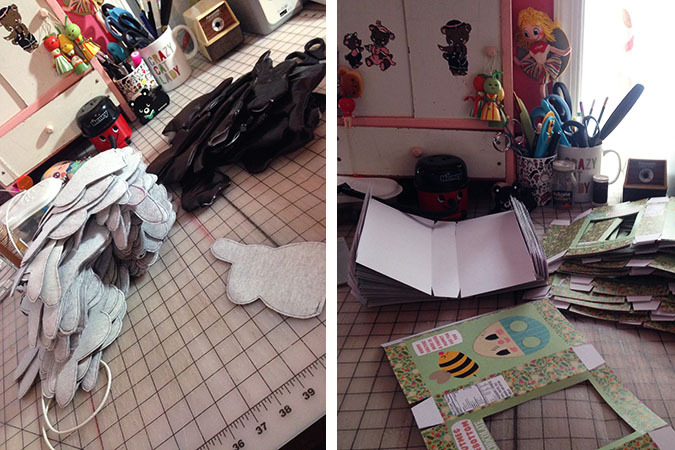 Once the boxes, and paper craft add-ins were all printed up I set to work cutting them all apart. 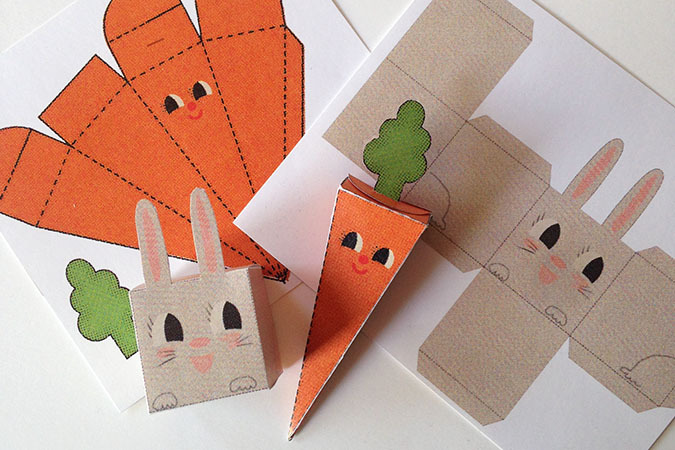 The two paper craft add-ins were a bunny box, and silly carrot box. I thought they might be fun to fold up and add into a Easter basket with a few pieces of candy inside. 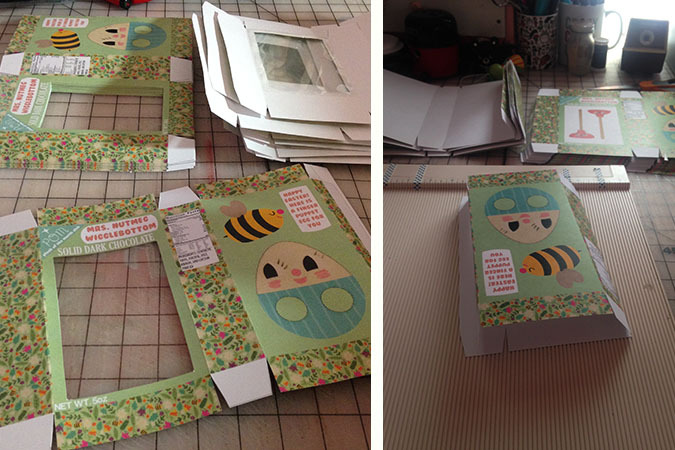 The boxes had a lot of cutting, folding, adding plastic windows, and gluing shut. But to see my rows of finished rabbits lining up was very satisfying! As always the boxes came with some candy. 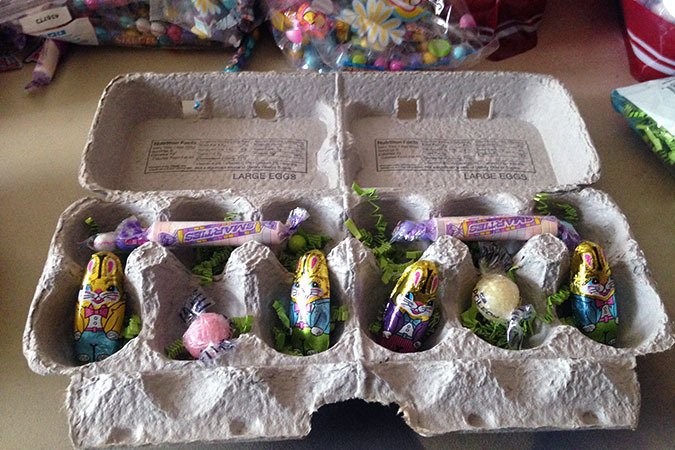 I ordered some egg cartons that were designed to “break” in half, filled each half with some Easter grass, 2 chocolate bunnies, sixlets, napoleon sours, and smarties.